The temple brings heavenly blessings because it is a special place where we get answers to our prayers. 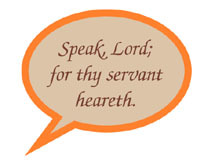 Prophets often receive revelations there so that they can teach us how to gain eternal life. Hannah lived in ancient Israel. She had sorrowed for many years because she had no children, so she decided to pray at the tabernacle, which served as a temple then. She vowed that if God gave her a son, she would dedicate his life to the Lord. The priest, Eli, saw her weeping as she prayed. He said, “Go in peace: and the God of Israel grant thee thy petition that thou hast asked of him” (1 Sam. 1:17). Soon Hannah gave birth to Samuel. 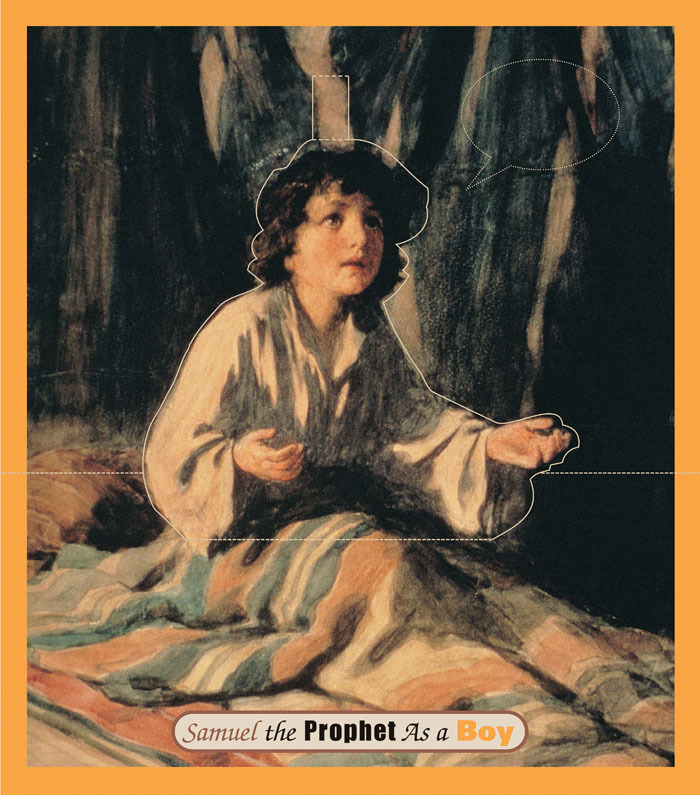 When Samuel was a young boy, Hannah kept her promise and took him to the temple. He lived with Eli and learned how to become a priest. Like Hannah, we can have comfort and answers to our prayers. We can also receive blessings by listening to the prophets. They speak with Jesus Christ in the temple, and they teach us what we must do to have the blessings of heaven on earth. Step One: Remove page 43 from the magazine and glue it on a piece of thin cardboard. Step Two: Cut along the solid lines, then fold along the broken lines (use a ruler to fold against to get a straight fold). Step Three: Carefully cut out the word balloon and glue it to a piece of thin cardboard; trim. Step Four: With a 2″ (5 cm) piece of tape, form a tube, sticky-side-out. Put it on the back of the cutout word balloon. Attach the word balloon over the dotted word balloon on this page.